The proven success-driver revealed in Intrinsic Excellence is known as the The Four Core Competencies method—or 4C. The 4C method is a heart-based yet scientific formula for sustainable growth in a people-centric business. 4C has consistently produced high-performance trainers with high-income businesses—while turning two personal training divisions in a major corporation from historic lows into record-breaking highs. 4C all but guarantees the dedicated fitness professional the ability to achieve high levels of success in personal training, while creating opportunities for growth that go beyond their current field. This innovative method can prove a veritable lifesaver for the personal trainer—because it clearly defines what is necessary for success, how to specifically achieve that success, but most importantly how that success directly affects personal development for both trainer and every customer with whom they interact. How sure are we that Intrinsic Excellence (paperback) will work for you? Simply fill out the form below and put Intrinsic Excellence (paperback) to work for you right now. Obviously, we would go out of business if Intrinsic Excellence (paperback) didn't work, the way we said, right? With the promise of a full refund if you're unsatisfied, you have nothing to lose by trying Intrinsic Excellence (paperback). Go ahead and try it today. The Four Core Competencies covered in Intrinsic Excellence are: Technical Expertise, Customer Care, Sales and Business Development/Strategy. As the author puts it, "Mastery of your art cannot be confused with success in the profession." Most of those who fail as personal trainers fail because they mistake their necessary technical expertise as the principle predictor of financial success in their field. "Not so" is Rolando Garcia III’s response to this perception—and it holds true for almost any other profession. Technical expertise is at best only 25% of the success-formula… Without a thorough grounding in the other three core competencies, the trainer is doomed to mediocrity and will most likely not survive in the industry. Intrinsic Excellence not only provides a masterful exposition of the role and function of each core competency, but also weaves the four core competencies into a dynamic, interactive program—shot through with the flesh and blood tales of struggle and success within the trenches of the personal training world. Most unique to Intrinsic Excellence is the insistence on a heart-based approach to the relationship with the customer—where every interaction is evaluated through the prism of a deep commitment to humanity, to self-worth and to leadership as inspirational partnership. Personal training clients see their trainers anywhere up to 144 times a year—which is way more contact-time than with any other professional or, for that matter, most relatives. According to Rolando Garcia III, the personal trainer’s relationship with a client is therefore of immense potential significance. The personal trainer becomes an inspirational model that their customers aspire to emulate. The high-level personal trainer embodies that elusive alchemy of athleticism, intellect and singularity of purpose that is the cornerstone for success. Rolando sees the personal trainer as having the power to represent a resurgent ideal: the self-possessed individual. Through fitness and exercise they have gained command of their life and they have a chance to effect that same transformation on their clients—a gift worth its weight in gold. 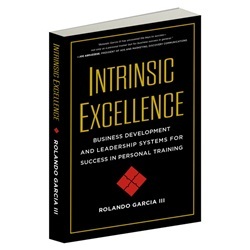 Intrinsic Excellence has a wisdom-soaked authority to its advice—born from Rolando Garcia III’s evident experiential immersion in his subject matter, a fierce intelligence, a deep commitment to values and a heartfelt desire to help both his fellow trainers and his clients lead deeper, more fulfilled lives. To absorb the life-lessons revealed with such generosity in Intrinsic Excellence is to stack the career deck in one’s favor—regardless of one’s profession. Intrinsic Excellence is at once a call-to-arms, a message of hope and a vision of the heights that can be achieved when heart marries science in the quest for a greater well-being. 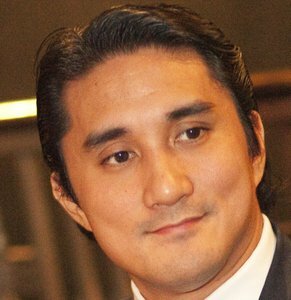 Rolando Garcia, III has been described as one of the top managers in the fitness industry. Using the system he created, he has prepared and developed fitness teams as well as individual professionals for the demands and rigors of the fitness profession, which led to their subsequent success. He currently manages an elite team of coaches for a luxury fitness facility, which is located in Manhattan, NY. He has been featured in Forbes, The NY Post, Self Magazine, and Athlete’s Quarterly. "Rolando Garcia III is one of the most brilliant minds the personal training industry has ever known. Like myself, Garcia has risen to the top of the game in one of the most competitive markets in the world: New York City. That's no easy task. "I've been a gym owner for six years and taught certifications to coaches all over the world. Intrinsic Excellence is my new ‘read this first’ for personal trainers. Rolando guides you through all the things that are actually important for driving business and personal success. The practical advice runs parallel to stories of the confirmed success of these concepts through his career of turning around personal training businesses. "Like the fitness business, the restaurant business looks glamorous, creative and exciting when viewed from the outside. Those in the restaurant business understand the harsh realities of running a quality eatery. The first cold hard slap in the face is the inconvenient fact that 80% of new restaurants fail within the first two years. For the vast majority of restaurant owners, kitchen dreams morph into bankruptcy nightmares. If you want to understand the reality of restaurants, read Tony Bourdain’s Kitchen Confidential or Joe Bastianich’s Restaurant Man. If you want to understand the realities of professional fitness, read Rolando Garcia’s Intrinsic Excellence. Here is another inconvenient fact: 70% of fulltime personal trainers certified in 2016 will be out of the fitness business within two years. Why the monumental washout rate? One man has the answer. "75% of what drives a personal trainer’s success has nothing to do with personal training." That statement of cold fact is one of the numerous pearls of wisdom to be found in Rolando Garcia’s new book, Intrinsic Excellence. The subtitle captures the theme. "Business development and leadership systems for success in personal training." Intrinsic Excellence is the new business bible for the modern personal trainer. Frankly, I think it should be required reading for anyone even remotely considering going into fitness on a professional basis—and all the more if you are considering becoming a facility owner. If you are a personal trainer and want to learn how to thrive in the jungle that is professional fitness, beg, borrow or steal a copy of Intrinsic Excellence. This is a survival guide for the modern personal trainer. First off, you have to survive, you have to last; you have to be around long enough to develop a following. You obtain a following by having the skills to obtain real results for regular people. Transformational skills border on magical, yet this alchemic ability to conjure up dramatic physical results for clients accounts for a scant ¼ of the success equation. You can be the greatest physiological transformational expert on the face of the planet—and starve in obscurity. Many have, more will. Rolando pins the tail on the fitness donkey by identifying the four big check squares needed to attain success: technical expertise, business development and strategy, customer care and sales. These four categories comprise Rolando’s 4-C Method, The Four Competencies. The key to fitness success, the key to longevity in the business of fitness, is an overall understanding of what is required. What is required is a recognition and subsequent mastery of the four competencies. The 4-Cs need be practiced in a balanced and even-handed fashion. Do not neglect or ignore any of the Four Competencies; this is not a fitness cafeteria where you can select or reject those systemic aspects you like while turning your nose up at others aspects you find unpalatable. 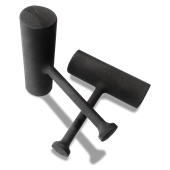 The 4-Cs are an indivisible unit. 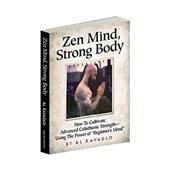 Rolando presents an integrated, intertwined and interrelated system wherein all the broad questions are identified, discussed and solved within the two covers of this taut, lean, fat-free, fluff-free book. Many trainers enter their field with a desire to help others. But few trainers begin with a long term strategy for a successful business. That's what makes Rolando Garcia's new book a must read for everyone in the fitness field. Knowing the basics of fitness and kinesiology is a given. But knowing what motivates a client to accept your advice and make significant lasting change in their own lifestyles may be even more important. In working with some of New York's most successful, career-oriented men and women, Garcia has tested his strategies with clients that may very well be the most resistance to change and has succeeded in helping them achieve their physical goals. So if he's given you a blueprint to business success as a fitness professional, why wouldn't you want to use it? I've been a trainer for a little more than 15 years, and in that time I've made a lot of mistakes. I've figured out some things, got some good advice along the way (and sometimes, I wasn't too stubborn to accept it), and grew. Over time, I'd taught myself to try and roll with the punches more, to accept disappointments better. Then, I read Intrinsic Excellence, and this sentence: "If you accept losing and failure as acceptable, you are not ready to be a professional." That got my attention. As I read the rest of the book, I realized that Rolando Garcia's solutions to the problems I'd faced were much, much better than mine, and much better than most of the advice I'd been given along the way. I went back into my Kindle version of the book to see how many highlights and notes I'd made in my first reading; I stopped counting at 150 (there were many, many more). I'm working on using the lessons I've learned from Intrinsic Excellence, and in a very short time, it has made a difference in the way I carry myself and interact with others—so much so that people have noticed a difference in my personal life, as well. There's gold on every page of this book. If you're just getting started, I envy you. If you've been in the game a long time, there's plenty for you, too. Rolando Garcia has written a business textbook for the fitness industry that will become a must read for anyone serious about making PT a long-term career. Too often aspiring trainers make the mistake believing that what made them successful as an athlete will also propel them to success in the PT business. Rolando teaches us that this is indeed a business with many variables to understand and manage. His carefully constructed 4 competencies method is brilliant in its simplicity. Following his guidelines you will gain new insights into growing and sustaining your PT business. 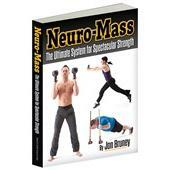 A bookshelf "must have" for anyone in the Fitness business. Rolando has written the textbook on success as trainer. Actually, this is a great book on success in business. I initially was going to do a quick read and write a review. However, that did not occur because it was what I needed to hear. Rolando has broken down success into four quadrants. As many trainers, I was stuck in Quadrant 1, technical skills. I have more certifications than I really need and have sought out more and more, to make myself more marketable. I have done okay in Quadrant 2 and have done fairly well with customer care. My failings are in Sales and Business development and Strategy. Rolando sets out a path that is easy to follow to reach your goals, be they in personal training, business or another field. This is a book and information that will cross over to any profession, just glad that it is directed at mine. Starting today, I have changed my priorities/plan of my business. I will be moving from one of mediocre success to one of greatness because of the skills and information contained in Intrinsic Excellence. I highly recommend this book to anyone that wants to surpass their current position and truly reach their potential in their field. I have worked with a few different business coaches, including a well-known company that specializes in the fitness business. I knew within the first 50 pages or so that this book would be different. Rolando's 4 Competencies Method clearly and directly explains all the facets of owning a business. He presents a scaleable model of how to implement this into your own business, and he gives each of the 4 Competencies it's time and due. I love how he sprinkled in actual stories of experiences that explained a concept he was teaching. I found it to be very thought-provoking in regards to how I run my business and in ways I could improve or just change things to a better system. I also loved how Rolando views things from the positive side of things rather than the negative side of things. For example, analyzing your strengths rather than analyzing your failures. I think this book is a must-read for all business owners. 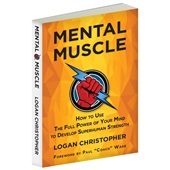 I also think the insights and principles in this book could be equally valuable and applicable to other types of service based businesses, not just personal trainers. Rated 10/10 A must-read for every trainer! There's a lot that goes into the personal training profession beyond just teaching clients how to exercise. If you are serious about building a successful business, then I highly recommend that you read Rolando Garcia III's book, Intrinsic Excellence. Rolando discusses the 4C method that can truly help define and create a successful personal training business. Whether you're looking to break into the fitness industry or are a seasoned trainer looking to expand their business, this book has the information to help you do so. Very well written with wonderful anecdotes to accompany the wealth of knowledge and advice presented by someone with years of experience teaching trainers how to maximize their potential. I found this book to be worth reading. I picked up some great information. The personal training fees they charge in the book reflect a higher class of living. All in all, I definitely enjoyed the read and gathered some really great tips on training and customer service. 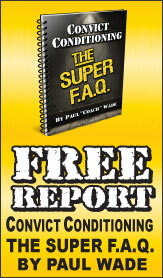 This book is not only for those doing personal training but for anyone with a customer facing business . Along with profound business advice there is advice that can be applied to life in general. Reminding us to focus on the big picture and not let little ?speed bumps? get us down. When our vision is on the end result, small diversions are easily overcome. ?It teaches us to believe in ourselves again, in what is possible, in what has always been within our reach, to embolden ourselves to harness our rightful ability to live the lives we are meant to live.? In the end our job is ?to be part of helping someone believe in themselves that they become capable of living their lives with courage and dignity, is what makes what we do respectable, noble and in the final reckoning, worthwhile.? 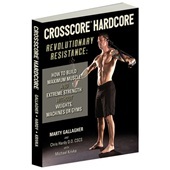 It is difficult to find books aimed at helping those in the fitness industry improve their business. Most books that I have found discuss new exercises or training strategies rather than offer guidance on improving customer service and basic skills necessary for running a successful business.